Here's a bit of a Rockman Corner exclusive for you. A little while ago I received a nice packet of official Mega Man: Fully Charged character profiles and art. While I can't share the artwork at this time, I do have permission to drop a few character profiles on ya. So today we're only looking at Mega Man, the members of the Light family, and Sergeant Night. Sorry; I gotta leave you with some surprises! "An enthusiastic robot with an action-seeking mischievous side. He seeks the good in everyone, but he's no saint. 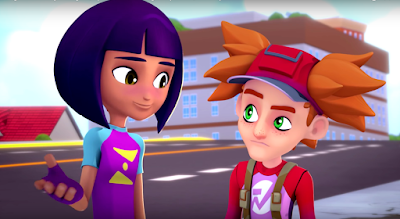 Aki is learning to be be a boy and a hero both in his daily life and as Mega Man. He is bright, confident, fun and curious. He can definitely feel confusion, anger and shame, but these are rare extremes. When he absorbs the power of a defeated enemy, he takes on aspects of their personality that enhances his own and force him to deal with their emotions as they manifest in his mind and affect his daily existence. In a flurry of computer code and visual pyrotechnics, latent programming awakens inside of Aki. Aki's skin re-forms into a suit of impenetrable nanocore armor and the signature Mega Man helmet forms around his head! Aki's mind is flooded with battle-mode tactics, weapon system arrays and schematics to fully charge the Mega Buster canon arm!" "No bigger than a cricket, Mega Mini is Mega Man's onboard repair unit and external conscience drive. He has a biting, often rude sense of humor, and he's funny as heck. 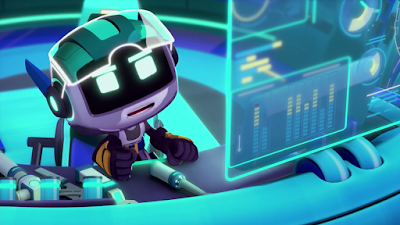 With his home base located inside Mega Man's helmet, Mega Mini easily moves through Mega Man's body to repair and analyze his circuity. From time to time he unexpectedly pops out of various access hatches in Mega Man's armor to act as his pit crew and sounding board. He is Mega Man's partner and confidant, allowing our hero to talk to himself in order to sort things out!" 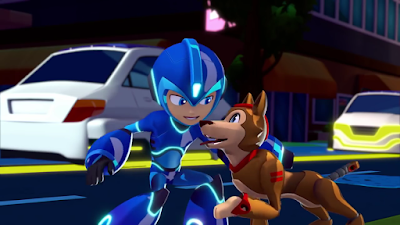 "Rush is the Light family's robot hound and Aki's lifelong friend. While Rush possesses many useful robot features he is first and foremost a dog. Rush is not fully aware of good and evil, he think that everything is a game to be played in order to obtain a treat! Just as Aki transforms into Mega Man, Rush undergoes a transformation of his own. Rush is always on hand for a quick "power up", like the spring in his back that allows Mega Man to jump to the highest rooftops in Silicon City! Rush's legs can transform into jets and tank treads, allowing Mega Man to ride Rush on land, sea and air." "Part adventurer, part scientist, all father. 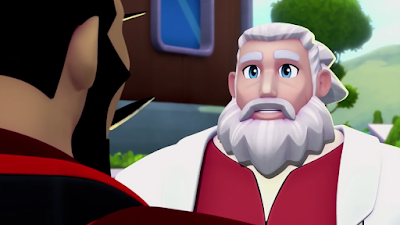 Dr. Light has walked some hard paths in his life, but has come out of it a charismatic optimist. Dr. Light is confident about all things science, less so about social situations. However, he is no "bumbling scientist" – more of a semi-retired Indiana Jones who hates when he has to dress up for a gala. He has unlimited affection for his children and is a great father who lets them make, and learn from, their own mistakes. He knows that Aki is Mega Man, but is playing along with Aki's "secret identity" until the time is right. He is wise but not "old", kind but not soft. He's gregarious and charismatic until he has to take charge of a situation – then he's brave and resolute." "Suna, Aki's sister and human daughter of Dr. Light is an adventurous spirit. Her father taught her that anything is possible, so she has grown up to be an optimist with the eye of a scientist. She is smart, fun-loving and not afraid to get her hands dirty. Suna often plays the realist to Aki's unbridled optimism, but she is not cynical. She is bright, intelligent, and confident, but above all very human. She has a high tolerance for nonsense, but when danger threatens her friends and family, she is fiercely protective." "Sgt. Night is cold and direct, but does manage a certain charm – until he's angry, then the militaristic barking of orders begins. Part man and part machine, Sgt. Night is the remnant of a forgotten conflict between humans and robots. He wants revenge on a world he believes betrayed him – most especially the Light family, and Mega Man. A smooth but direct villain, Night is charismatic enough to persuade followers and manipulate robot minions without the need for force. However, at the drop of a hat he changes: a would-be emperor. Commanding. Defiant. Bold. He knows loss and wears it like a cold suit of armor." As I stated elsewhere, I'm curious as to Suna's mom. The Light family presented in this series is definitely a shakeup from what we've come to expect, so I wonder if the series will capitalize on these opportunities. That being said, with Suna being confirmed human, the possibility that she has an alter ego as Roll like Aki has one as Mega Man is pretty much outright deconfirmed. Kinda a shame (definitely makes me curious as she's a character outright subtracted from the classic cast - with Wily hinted in the horizon and a possibility for Proto Man and Bass to show up later on, her absence is odd), but I'm sure we'll get to see what she's all about in the weeks to come. Well... I nailed that one about Dr. Light. To be fair, it wasn't that difficult. I'm guessing you're not yet allowed to say anything about that kid who strongly resembles Wily. Am I right, Protodude? All will be revealed in time! What the-- what are those proportions? begs the question, how do you whack it with wreck-it-ralph hands? Seems dangerous. I'm pretty sure you spelt sergeant wrong. Unless it's spelt "Sargent" in the show. My gosh! Aki is MegaMan's name ? That's ridiculous. They are ruining it already. Actually, MegaMan's name is Rock. Sighing. My gosh!!!!!! Mega Man's name was also Subaru/Geo. And Hub. And Vent. And Aile. 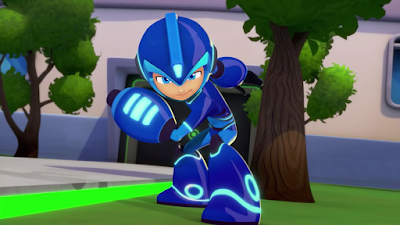 This is a *new* Mega Man - it's its own thing. That's not a fair comparison. Those titles never tried to say they were the original Mega Man story retold. 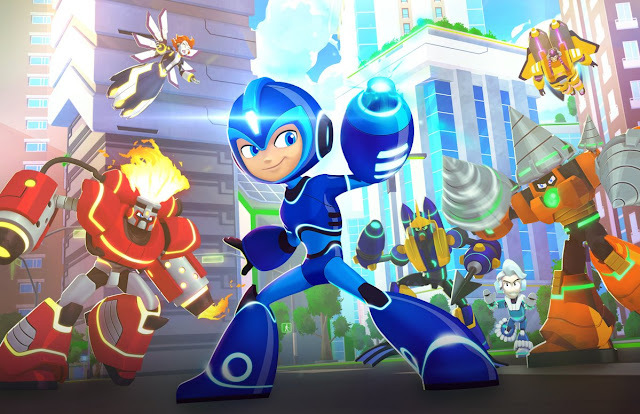 This is actually more like a remix, and it wasn't needed in a lot of the areas they choose to remix.I don't personally like the changes that have been made, and I like all of the other series, but not because they pretend to be the original Mega Man. This is more like the Ruby Spears cartoon. And that was a disaster in it's own way too. Don't get me wrong, I love the old cartoon, and I may end up loving this too, but I'll have to do the same thing with this that I have done with the Ruby Spears show, pretend it's not Mega Man. And that is very dissapointing. 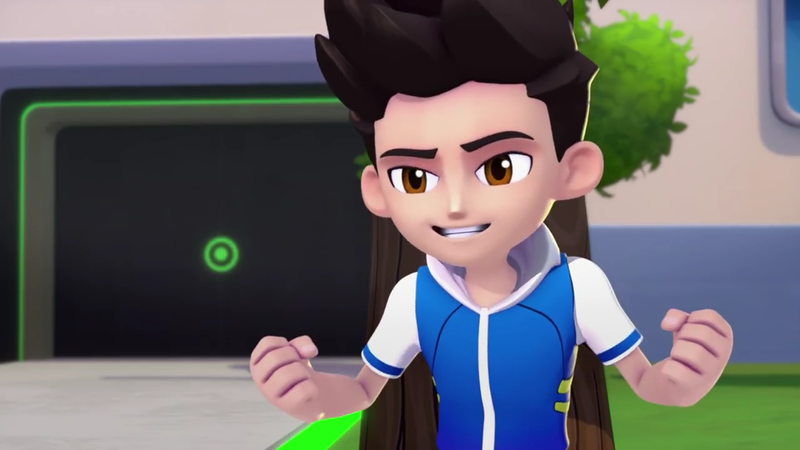 Why can't Mega Man have a good cartoon, like Voltron? That's for kids and adults, and it is awesome. 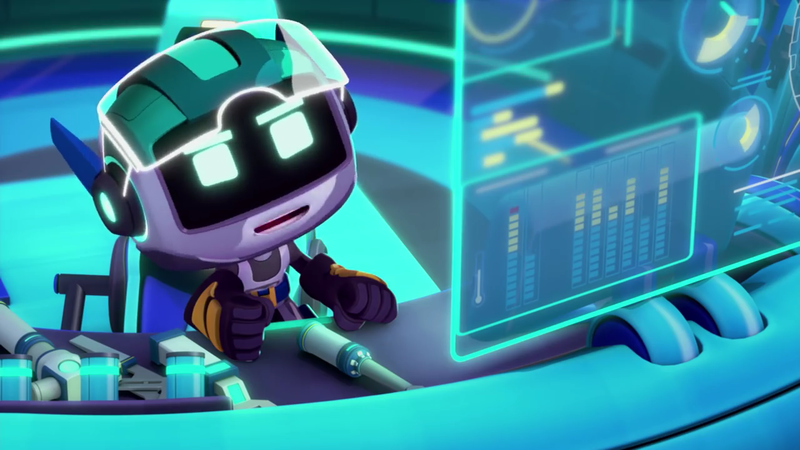 I feel that this show isn't trying to be/say they are the original Mega Man story retold, instead is trying to have it's own identity by doing things differently than seen before. I think the show has potential, but i'll have to wait and see how the series fares out. Plus it's not like this is replacing the old stuff, it's just going to exist along-side the story we all know and love. Uh no. Those are their own characters and the ZX duos were kids who donned armor with the consciousness of fallen reploids. This isn't the same thing at all. And she is not Roll. It is getting weirder and weirder! Disappointment. And easily confusion. and she doesn't have to be Roll. it's not confusing at all. Maybe she'll get her own armor sets later and use the name Roll. who knows? "He has a biting, often rude sense of humor, and he's funny as heck." Nothing beats it when the writers stroke their own egos. Calling it now. 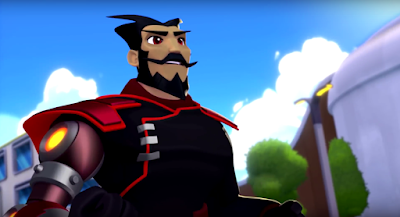 Sergeant Night is a bot for Wily in some way, shape, or form. "Just as Aki transforms into Mega Man, Rush undergoes a transformation of his own." To be fair it’s based on the classic series so it should have stayed Rock. All the ones you named weren’t the same as Megaman. Although its heavily inspired by classic, it's also very deliberately setting itself up something new with its own identity. It's different Megaman. They're not the same that looks like the classic Megaman. The different story, different characters, and different places, but the same name of Megaman Characters except Aki Light and others. It's Man of Action's Megaman, not Capcom's Megaman. 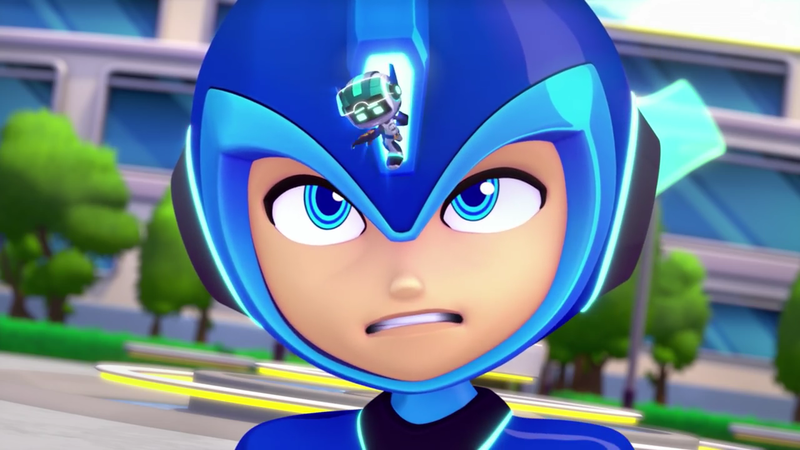 Get used to it because if you don't want to watch Megaman: Fully Charge, it will be cancelled, and it may affect to all Megaman franchises. Let Megaman franchises lives, for our sake!!! Please be Mega positive and stay Mega! People keep saying that if you don't like something then you'll be responsible for the entire franchise collapsing. I'm surry, but that's ridiculous and unfair. Capcom, as money hungry as people say they are, I'd think they're smart enough to realize how different Man of Action's work is from their own. Aki has a sister? Suna Light, a human? Okay... that's weird. But I may have a little theory that Dr. Light will create a kid female robot, Roll Light, she will be... a maid? Personally I like that this cartoon is trying to be its own thing. I thought replacing Roll with Suna was weird, but the dynamic of Mega Man having a human sister is interesting. Plus Roll's...role...of staying at home and being a maid despite being just as capable of being upgraded into a combat robot as Rock wouldn't fly today. There's some interesting ideas and deeper backgrounds here than I was expected. Colour me intrigued. Honestly, the designs aren't terrible. But what's up with the Sonic Boom-esque style of "humor?" 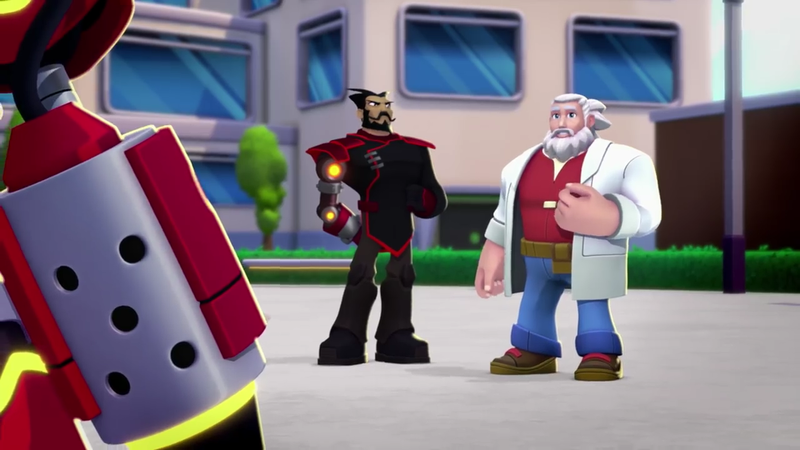 I think Fire Man, Ice Man, Hypno Woman and Wood Man will join Mega Man's mission against the evil Lord Obsidian and Namagem.